Good Morning, and happy Friday! I'm sharing a sympathy card with you today. Not the kind of cards I like to send, but nevertheless, we do need to send them from time to time. This card is a complete and total case from a card I received in a swap at the Kansas City Regional Stampin' Up! convention last September. I wish I knew who to give credit to for this simple and elegant card, but sadly, there was no name on the back of the swap. When I received an email a few weeks ago requesting handmade sympathy cards for my upline, Heather, whose dear sweet mother, Mauretta had passed away, I knew just excatly what card I was going to case in order to quickly do some mass production. They came together very quickly, and I'm happy with the result. 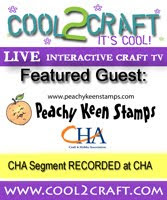 Thanks for stopping by today, and I hope you have a wonderful weekend filled with family, fun and of course, stamping!! Beautiful card, Lorie! Love the glitter on the flower!!! I think i might have to CASE it from you! A simply beautiful card Lorie!